You May Feel Like Taking 'Couple Selfie' With BLACKPINK JISOO and BTS JIMIN! 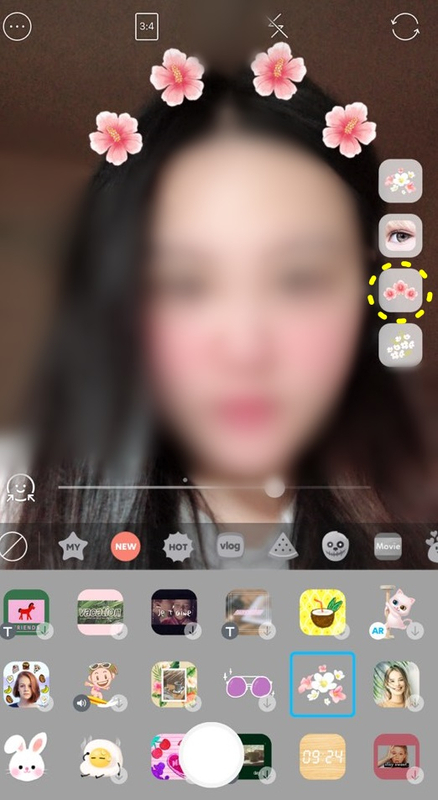 There is a camera application that BLACKPINK JISOO and BTS JIMIN also use. It is AR camera called 'Snow'. 'Snow' is a service that allows users to share their daily video with various graphic effects like 'Snap Chat' or 'Instagram', and it marked more than 270 million downloads globally. Especially, it is particularly popular in Japan and Southeast Asia among the teenagers and twenties. This Snow app is also popular for stars. On August 21, BLACKPINK's JISOO uploaded her selfie on her Instagram. 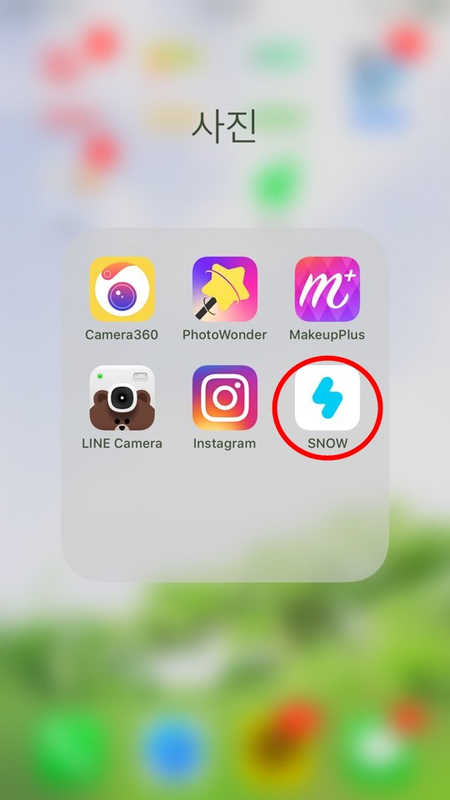 The camera app that she used was Snow. 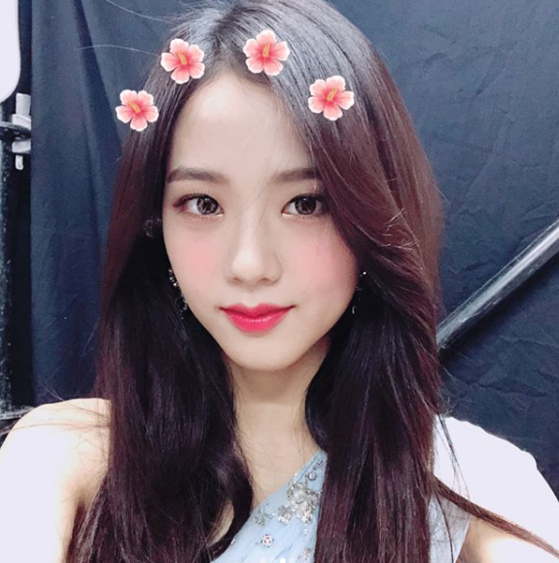 JISOO used a filter that had a Mugunghwa flower effect around her face. Then, let's use the filter that JISOO used! First. open the Snow app. 1. Then, click the smile icon as soon as you open the app. 2. Then, click the 'NEW' tab. 3. Lower the scroll until you see the floral icon which white flower is on the center. 4. 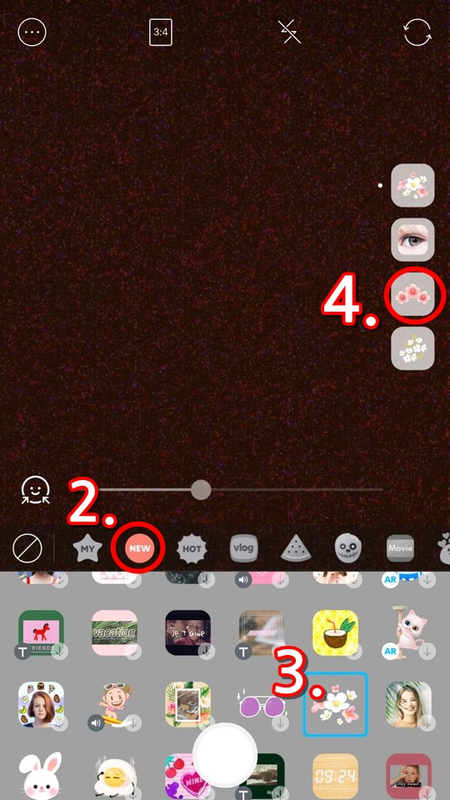 After you select the icon, select the third pink floral icon on the right side of the screen. 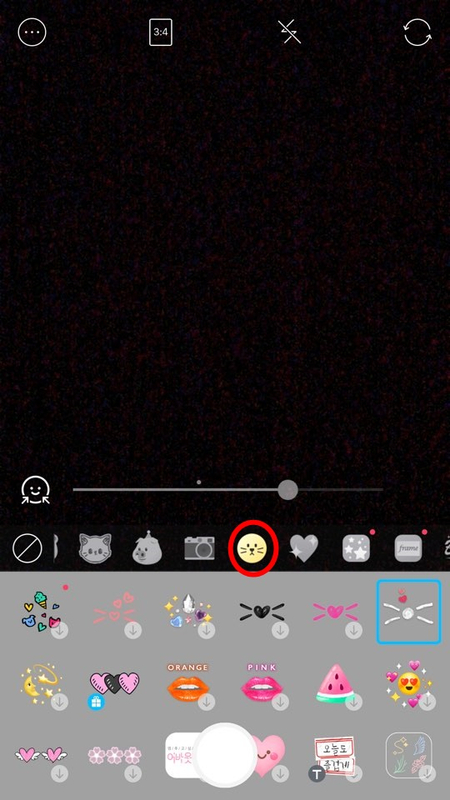 Did you find the filter that JISOO used? I think it is more attractive because JISOO used it. 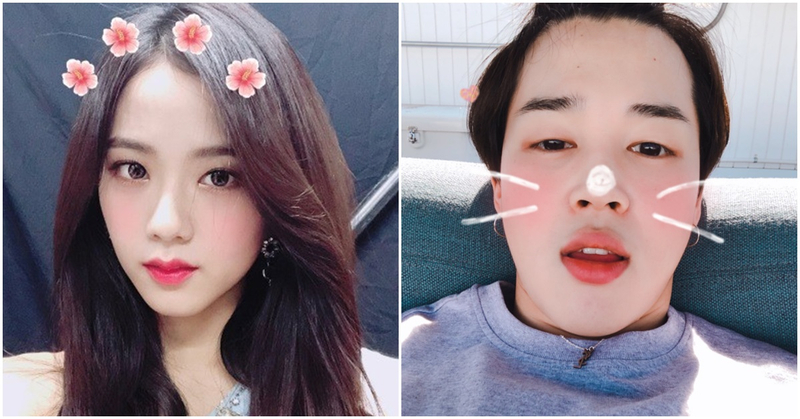 Not only JISOO, BTS's JIMIN also used the Snow app recently. JIMIN uploaded a photo with the snow filter on the BTS's official Twitter account on August 21. He used a very cute cat filter! Do you want to find the filter that JIMIN used? 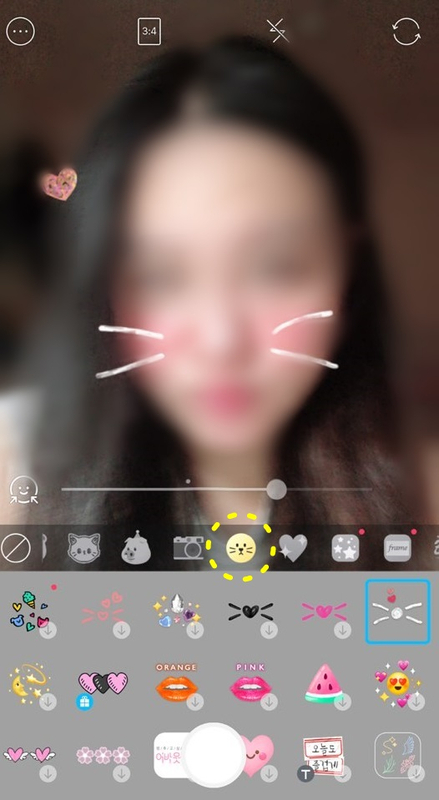 Open the application and find the icon with the cat face. 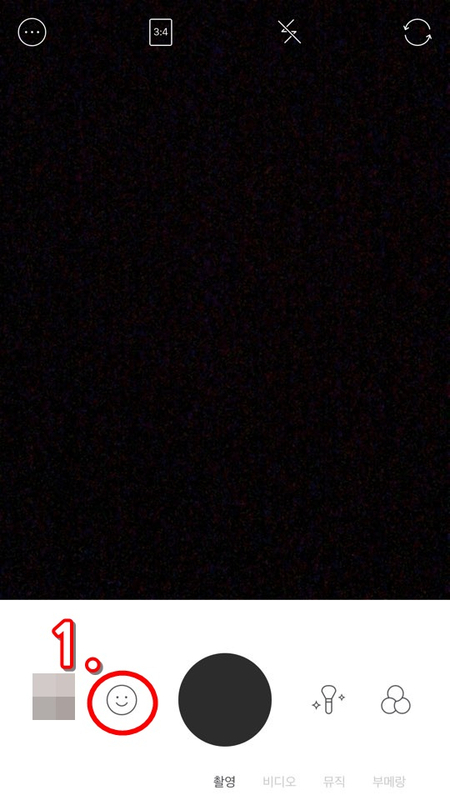 He used the filter on the right of the first line. 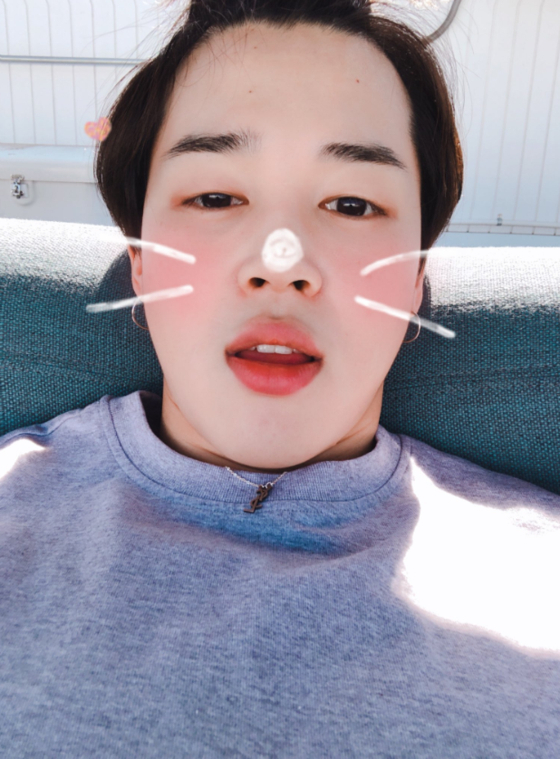 Did you find the filter that JIMIN used? I feel like I am taking a couple selfie with him! Why don't you take a selfie with the filter JISOO and JIMIN used and refresh yourself?